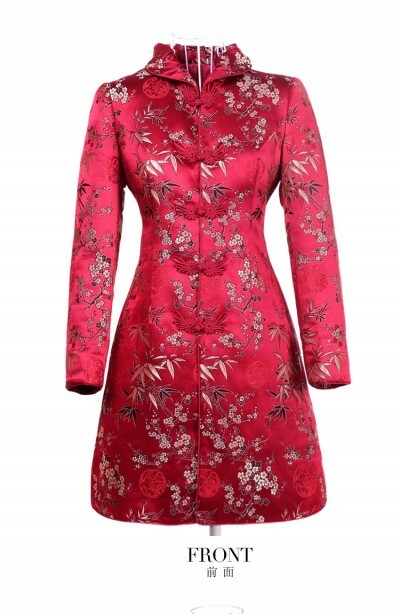 description: Red bamboo and plum brocade fabric red piping. Mandarin collar. Phoenix tail buttons. Traditional style.